It will be interesting to read retrospective impressions, a decade from now, about the generation of musicians who gave themselves over to the drone — a generation of musicians who dispensed with the recognizable and memorable sequences of melodic elements of their recent predecessors, and instead distinctly favored a tonal bliss (and seeming stasis) whose unique properties divulge themselves only through close listening, deep patience, and side-by-side comparison. I was at the concert. In my review at the time, “On Land Festival, Opening Afternoon,” I noted how Collins, who performed solo, “evoked his adopted home of the southwest by producing rich, feedback-intense approximations of Ennio Morricone soundtracks; he patiently limned the delicate no man’s land between abstraction and melody.” As heard in the MP3, the concert was even darker than description at the time suggests. When the sound of a lap guitar arises, it’s as if a whole world of hurt has been unpacked from a single chord from an old Bob Wills and His Texas Playboys recording. When waves of feedback waft up, it’s like the the entire Neil Young catalog has been set afire. And on the occasion when rhythm dares to present itself, as a nascent chugga-chugga, the failure — the determined failure — to resolve into a deeper, more trenchant phrasing reveals the piece as an especially maudlin vestige of doom metal. The sense of ritual, of ceremony, makes a very strong impression. Track originally posted at rootstrata.com. More on Collins at williamfowlercollins.com. More on the new release at typerecords.com. Earlier this year, this site’s Downstream department output was increased to daily from weekdaily, to seven days a week from five days a week. The goal wasn’t so much to increase the number of recommended free downloads, though that was an obvious result. The goal was to free up space for repetition. In other words, I wasn’t as interested in increasing the number of musicians I highlighted as I was in increasing opportunities to repeat appearances by specific musicians. The thinking was, the more slots available, the less stingy it will feel to focus on more than one occasion on the same musician. Mark Rushton is such a musician. 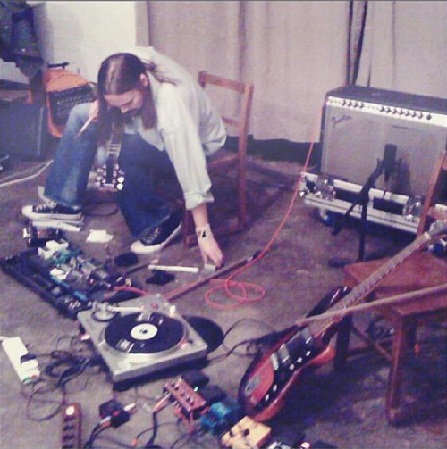 Based in Iowa City, Iowa, he has produced an extensive array of ambient music that has a rural intent, due in large part to its frequent rootedness in field recordings. A recent track added to his soundcloud.com/markrushtoncom account, two minutes and twenty two seconds titled “Machine Shine,” veers from the lush haze common to his work in favor of something, per its title, more mechanical. Despite which pulsing mathematics, it still retains a simplicity and elegantly threadbare quality that marks it as clearly his own. Track originally posted at soundcloud.com/markrushtoncom. More on him at markrushton.com. The EP was originally released by the Tokyo-based label Duotone as a 3″ CD-R (“for their ‘music for pleasures series'”). Get the full set, streaming and freely downloadable, at soundcloud.com/bacanalintruder. 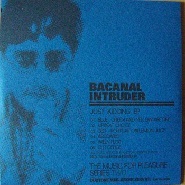 More on Bacanal Intruder at bacanalintruder.com and twitter.com/bacanalintruder. 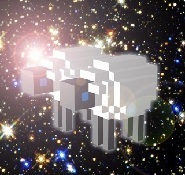 When an album cover shows Minecrafty visions of interstellar pixel sheep, one shouldn’t be surprised that the music has the kind of canned bliss often associated with early digital synth music. There are two tracks on Le Voyage du quadrupÃ¨de by Pecora Pecora, and the opening, “Vent ionique,” indeed has the pulse and sheen and automation of mid-period Tangerine Dream at its most pop-kosmische, but the second, “Las Valse de Gogol,” drops the metronomic activity in favor of something more sinuous and burbly and wavering. It still sounds primed to serve as the score to a midnight event at the local planetarium (a brief liner note provides the album’s program: “A quadruped takes off aboard the Pecora Pecora spaceship on a trip across the infinite and the discovery of a timeless planet”), but it’s also subtle enough for general use (MP3). Get the full set of Le Voyage du quadrupÃ¨de, for streaming and free download, at notype.com. More from and on Pecora Pecora, which consists of Valérie Bilodeau and Marcello Marandola, at descaillouxetducarbone.com.